Summer is one of the best times of the year for getting dressed up and heading to events. 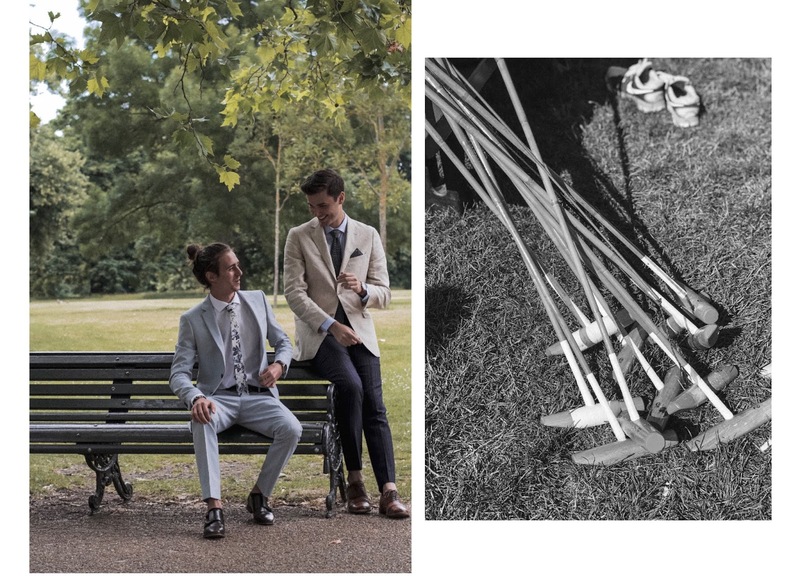 The summer month's see a lot of weddings, the races, polo matches and garden parties - and for us gents it's the perfect time to add an injection of personality with our suiting choices compared to the darker winter months. 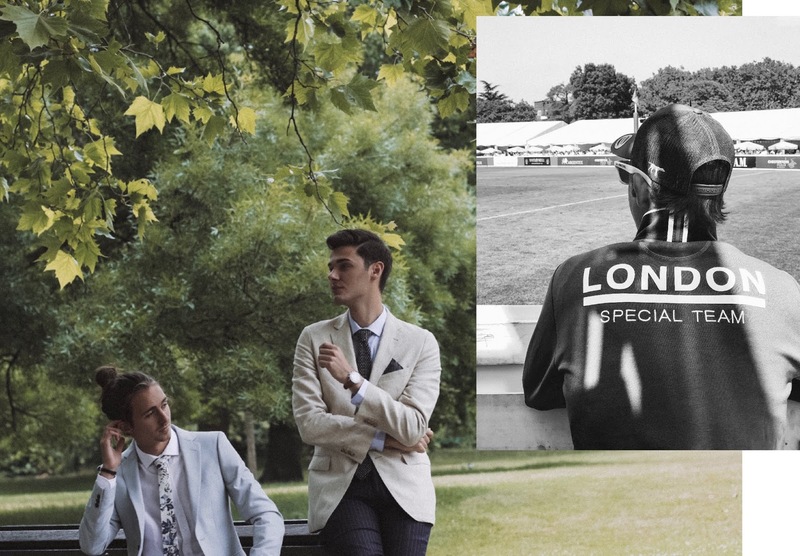 I recently attended Polo in the Park and partnered up with Moss Bros and Adrian Stanley to share with you my ultimate summer event look, and a few of my top picks to keep you looking sophisticated this event season. The summer means brighter colours and lighter fabrics, so I went for this tailored fit linen suit jacket and thought I'd mix and match the jacket and trouser. For the bottom half I went for a navy pinstripe skinny fit trouser - quite a classic item. In the summer season, choosing separates is a great way to stand out and to give you that classic sophisticated appearance, without looking too corporate. It also gives a slight nod to traditional style icons and the 'Gatsby' era. It's always nice to add a pop of pattern or colour too when it comes to the tie and pocket square. This is where you can get your personality across and really make a statement. You have two options - either complimentary, or stand out. I prefer quite classic and timeless styles so opted for this navy and white polka dot pocket square and knitted tie combo. It's the perfect stand out item against the blue shirt and ties in with the trouser, pulling the outfit together. Something Moss Bros does very well, is the range of sizes and fits they have on offer. I found the extra-slim fit shirt to be one of the best I've found on the high street and with a huge range of colours and fabrics, they'll be sure to get you looking your best for your big event. Some events do have dress codes, so this will have an impact on what you can and can't wear. If you're attending Royal Ascot or one of the more prestigious events, there will be quite strict rules in place. Always check before hand so that you're not the the odd one out and so you don't stick out for the wrong reasons. When it comes to weddings or sports games, think traditional British chic and make sure you're not upstaging the groom or wedding party. Polo matches don't always call for a tie, so think about how your outfit will look with these changes. If you're still unsure, the team in Moss Bros are there not help, whether you'r looking to buy, hire or get your suit tailor made. In order to look your best, make sure you get the fit right and the right style for yourself. Do you prefer one or two buttons? and would you wear a double-breasted jacket? I think these are all factors to take into consideration when choosing you outfit and when deciding what to wear. For me the summer is all about looking sophisticated, classic and timeless - all qualities that define the ultimate gentlemen's style. Use the small touches such as the tie and pocketsquare, to help add your own flare and to have bit of fun. This is when you can show off your personality, and complete you summer look. 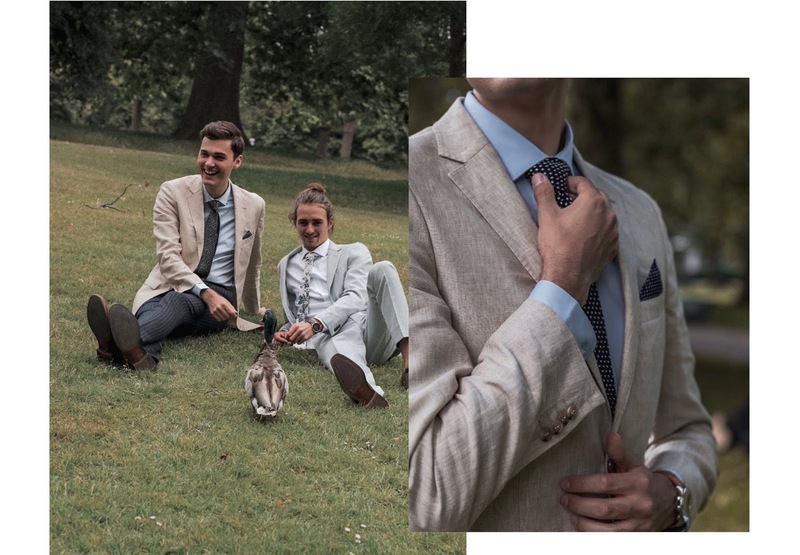 Of course you want to look suitably smart, so check out the full range over on the Moss Bros website or head into one of their stores to be fitted for your big day.